London: Edward Arnold,. Paperback. 72pp. Aimed at the sixth form or first year undergraduate this concise volume deals with a range of critical and theoretical perspectives on the novel in an easily accessible form with plenty of what it calls 'signposts' to further study including a further reading list which includes two useful selections of important novels from the pre-twentieth century , and form the twentieth century, that would be an excellent starting point for anyone planning on embarking on a literary degree. Rubbed. Somewhat faded. Light pencil annotation. Binding is sound. Good, sound copy. . Paperback. 1969. New York: Appleton Century Crofts,. Hardback. 639pp. 4to. Full morocco with gilt titles. Ribbed spine with gilt lines. Marbled endpapers. Gilt to all edges. A presentation copy for Gerald D. Sanders from the publishers which is recorded on a label with calligraphy in black and red inks. The label has lifted from the endpapers and is loosely enclosed. Slip case is slightly split to bottom edge. Near fine copy in fair slipcase. . Full Leather. Fourth Edition. 1966. London: HarperCollins Publishers,. Paperback. 127pp. 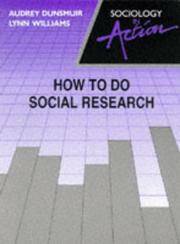 An ex-library copy of this excellent introduction to social research aimed at A level and AS level students. Rubbed to edges. Usual library stamps etc. Good, sound copy. . Paperback. 1990. Basingstoke: Macmillan,. Paperback. 427pp. Macmillan Master Series. Aimed at A level students or first year undergraduates. Ex-library copy with label to spine and ocassional stamp inside. First prelim is missing. Card covers have been covered in sticky-back plastic. Binding is sound. Reading copy only. . Paperback. 1990. London: Pelican,. Paperback. 316pp. 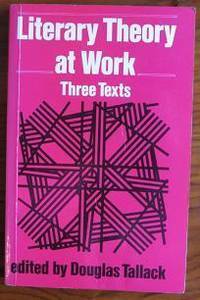 A general introduction to contemporary philosophy. 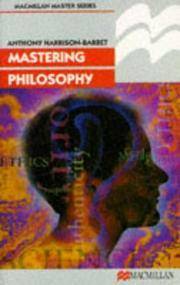 Covers metaphysics, epistemology, logic and language, human beings, ethics and politics. Includes suggestions for further reading. Lightly browned to pages. Very good copy. . Paperback. 1985.